Peru is filled with tales of gods and legends, and its rich history and culture is expressed in every corner of the country. Archaeological sites give visitors a glimpse of the past, while current customs prove that Inca culture is still very much alive. Meanwhile, Peru’s landscape is tough and wild, making for great hikes and even better views. Here is our top 10 must see places in Peru that we have selected, based on their cultural relevance or because they offer an experience that you could only find in Peru. 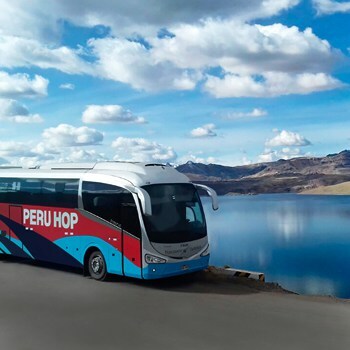 HOW TO PERU QUICK TIP: Peru Hop buses are the best and safest way to get to and from Cusco, home of Machu Picchu. Nestled between majestic snow-capped mountains lies Laguna 69, a deep, turquoise-coloured lagoon. This Crystal Lake is one of the most hypnotic sights that the immense Huascaran National Park offers. The park, which covers an area of 340,000 hectares, contains the world’s highest tropical mountain range, the Cordillera Blanca, but is also home to stunning waterfalls, high plateaus, and several glacial lakes, including this precious lake. Many travellers view the hike to the lake itself to be half the reward. The ever-changing scenery that takes you through these parts is as wild and unpredictable as the weather. Like a temperamental lover, daily temperatures in this region can go up to 20° C and suddenly drop to 5°C. Dubbed by many hikers as one of the most impressively scenic hikes in the world, the surrounding landscape has landed this hike on the list of World Heritage sites. One of the most magnificent geological features in Peru are the painted hills of the Vinicunca Mountain, also known as the Rainbow Mountain. The sloping waves of colour that decorate this beautiful hill, ranging from rust red to lavender, and turquoise to gold, are the result of minerals and eroding sedimentary rocks. You can enjoy the spectacular sights after a one day hike, or you could do the Ausangate trek. Both are strenuous, but the Ausengate is on another level. This trek takes you through the raw backyard of Cusco for several days, and the ever-increasing altitude can be crippling for unseasoned travellers. In order to reach Vinicunca, you must first cross three high passes that reach over 5,000 metres. Along the way, you will pass local villages, glaciers, alpine lakes, granite cliffs, marshes and snow peaked mountains that scrape across the sky. The stunning, unspoilt views surrounding the natural wonder of this place, and the reward of the Rainbow Mountain itself is certainly worth the challenge and pain. 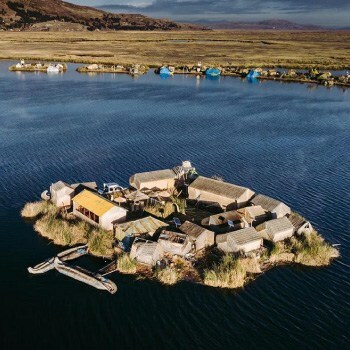 The blue, crystallised waters of Lake Titicaca are home to over 70 man-made islands, also known as the Uros Floating Islands. The uniqueness of these islands is due to the material used in their construction. Created completely out of buoyant Totora reeds, a bulrush sedge that grows on the lake’s surface. These dense roots are stacked on top of each other until an island is formed. Because the bottom starts rotting and disintegrates over time, new layers are continually added to the top. The Urus people live in a collection of traditional reed houses that are built on top of these islands, each differing slightly from the other. In ancient times, these islands were originally created for defensive purposes, allowing for easy mobility and retreat. Nowadays, the floating existence of the Uros people can be seen in their thriving and welcoming community, with each person contributing to the continuation of their traditional lifestyle. Huacachina is a small desert town, built around the only natural desert oasis in the whole of South America. This natural oasis not only provides an escape for local families from the nearby city of Ica, but sees a yearly increase of tourists from all over the world. However, this desert lagoon is not the only thing that people have caught wind of. A small town surrounds the oasis, and both are hidden between high, wind-sculpted sand dunes in the middle of the desert. The sand dunes are perfect fandboarding, and riding around in the buggies will make you feel like a Mad Max character. Huacachina is the ideal playground for adventure seekers, both young and old. Escape From Lima and visit Huacachina today! Deep within the mountainous region of Arequipa lies the vast and yawning Colca Canyon. One of the deepest canyons in the world, the Colca Canyon comes in a very close third position, after its nearby sister canyon, Cotahuasi, with its deepest point reaching 3,400 metres. The deepest canyon is located almost inaccessibly in the Himalayas, leaving Peru home to the second and third deepest canyons that are surprisingly accessible. 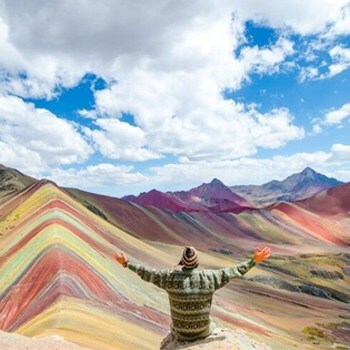 HOW TO PERU GUIDE TRAVELING TIP: For trips to Rainbow Mountain, we highly recommend booking with Rainbow Mountain Travels, the top-rated operator. However, the statistics highlighting the impressive depth and width of this canyon can only be rivalled by the diversity in the stunning scenery that can be found within ‘The Colca’. Some of the astounding sights that can be seen in the canyon include soaring condors, ancient terraced farmland on steep slopes, thermal springs and traditional villages. The endless trekking routes that zigzag through the canyon are a particular favourite for hikers or travellers looking to take up the challenge. The most notable thing about Peru is its ever-changing landscapes from tropical jungles to arid deserts and windy coasts to cold mountains. 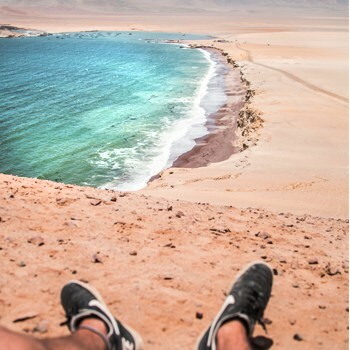 The Paracas National Reserve showcases this very contrast. This protected reserve measures 330,000 hectares and features sub-tropical deserts that abruptly meet the ocean, with huge cliffs and hidden beaches. This reserve is home to an abundance of marine life, a variety of bird species, and boasts one of the richest and most biologically productive marine ecosystems in the world. 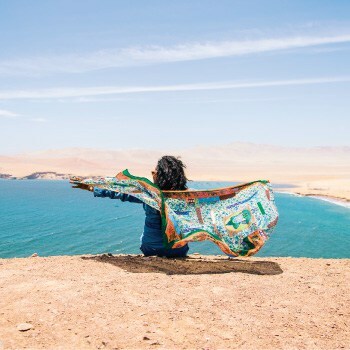 Within this area, you can also visit various archaeological sites that feature pre-Incan culture, or sail out to the Ballestas Islands archipelago. The Islands are comprised of craggy cliffs and huge rock formations, from where hundreds of sea lions can be seen, perched on precarious edges or lazily catching some sun on the beaches. Other animals that can be spotted on the Ballestas Islands are the lovable, endangered Humboldt penguins, and a number of birds such as cormorants, pelicans and Peruvian boobies. If you are very, very lucky, you might even catch sight of playful dolphins closer to the shore, or majestic humpback whales on their voyage north for mating season. Dark dungeons. A labyrinth of underground tunnels. Secret slave trade. 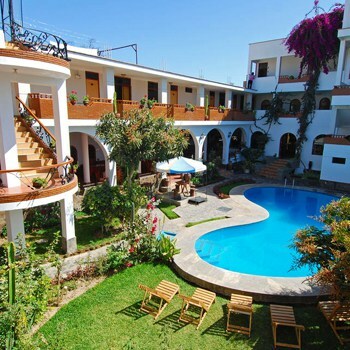 These are the grim tales that accompany a visit to La Hacienda Jose, a large colonial mansion turned luxury hotel, located in the south of Peru in a small town called Chincha. Although it’s situated in a small town, this strange and beautiful house deserves a place in this top ten must see places in Peru. Dating back to the 17th century, this huge mansion has hidden stories that take you to the start of Afro-Peruvian culture. First established by Jesuit priests in the late 1600s, they ran the mansion as a monastery, and utilized slaves for the sugar cane plantations. When the Spanish colonisation of Peru brought in new Spanish landowners, heavy slave taxations were made. This forced slave owners to build a giant network of underground tunnels leading from the port where the ships docked to the mansion in order to secretly bring in the stronger and bigger slaves from the coast through 17km long tunnels. Depictions of the hard life that the slaves endured can be seen in paintings that decorate the walls within this beautiful hacienda, as well as the underground chambers that were used to exact punishment on the slaves. Many know Machu Picchu as the most popular ruins in Peru. However, what many don’t know is that Peru is literally covered with archaeological treasures, just waiting to be recognised. One of those gems happens to be the majestic, ancient fortress of Kuelap. Dating back to the sixth century A.D., this stone monument is located in the north of Peru, 3000 metres above sea level. The Chochapoya people, also known as the “Warriors of the Sky”, constructed this magnificent, fortified citadel in the sky forests as a defence against unwanted tribes. Resting on the uneven slopes of the Andes Mountains, its remnants overlooking the surrounding mountains, Kuelap is considered the biggest stone ruin of the New World. A new cable car service – which began operating in 2017, provides easy access for travellers and speeds up the journey time. It is expected to draw more and more interest, media and visitors to this site. The enigmatic Nazca Lines can be found in the arid Peruvian desert, a few hours south of Lima. 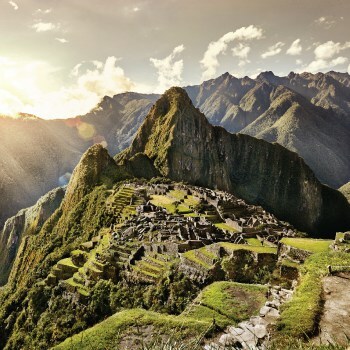 This UNESCO heritage site (yes…Peru has a few!) was first discovered in the late 1920s by a Peruvian archaeologist. It would be another 10 years before anyone had spotted the lines from the sky, making them more widely known. The mystery and beliefs that surround the creation of these giant drawings have encouraged conspiracy theories, and the occasional alien hysteria over the years. There are some 70 etchings with different designs of animals, flowers and plants, objects and anthropomorphic figures, and over 900 geoglyphs, or geometric forms, spread over 80 km of desert across the plains. Although there has been no unified agreement as to why they were made (Irrigation Systems, Sun Worship and Aliens being some theories), this magnificent artistic creation is certainly unrivalled in every sense and is an amazing display of ancient culture. This ancient Incan city hidden deep in the mountains of Cusco has become synonymous with Peru and Incan culture. Both a UNESCO World Heritage site and one of the 7 Wonders of the World, its beauty is unparalleled. The citadel was intelligently organised and consists of temples, farming terraces, an intricate water duct system, tunnels and towers. It showcases the architectural prowess the Incans possessed, and their talent for urban planning, which made their empire the force it once was. The cloud forest that surrounds the city gives it even more mystical flare, and is a dream for hikes to Macchu Picchu. 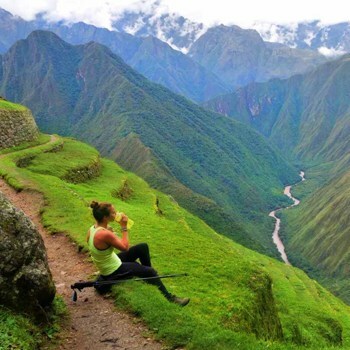 The most famous and sacred of hikes is of course the Inca Trail, which follows an original network of transportation trails used by the Incas as their main route of passage. This archaeological wonder never ceases to amaze visitors, drawing them in by the thousands every day. Its beauty is unmatched, and it is one of a kind. Of course Machu Picchu is number one on this list. Hi Colin, thanks for your comment. I understand you might be missing some things in lima. We love the capital and we actually have a blog completely dedicated to Lima. Which sight or activity would you have put in this top 10? I haven’t been to most of the places on this list so can’t say definitively, but I imagine top-10 sites in Peru could include the historic city center and the Malecon. If I only have little bit of time while travelling, what´s the best way to see most of these attactions in the least amount of time possible? Would it be best to try and organise it myself or go through a travel agency or tour company? Hey Rafael, the best way to cover as many of these destinations as possible in as little time as possible is definitely by taking Peru Hop. 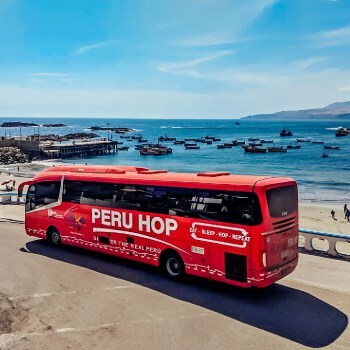 Although they don’t go to the north of Peru yet, they have stops in all of the other destinations allowing you to spend as little or long as you want at any of them. They are the safest and most flexible way of travelling Peru by far! You could try to organise it yourself but I think you will find that working out the logistics of it all will prove to be difficult enough. Travelling alone with local companies also can be risky as issues concerning safety tend to arise. Best of luck on your travels, hope this helps with your question!